This is the first roll-on I have ever used I must say that I am impressed! I am experiencing heavy perspiration these days because I am currently on my fitness challenge. So I thought why not try an anti-perspirant and see how it fairs for me. I have used the Nivea whitening anti-perspirant spray before and I actually loved it. As I normally didn't sweat too much until I started my fitness challenge I didn't feel the need for an anti-perspirant but now I do. 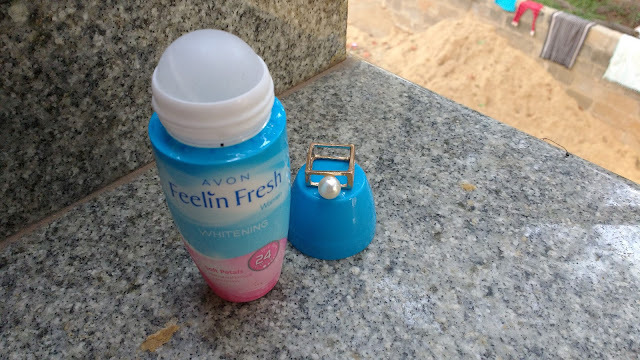 The Avon Feelin Fresh Whitening Anti-Perspirant Roll-On Deodorant was up on sale at the Flipkart Big Billion days and that's when I gave it a try. Read on to know how it fared for me.. 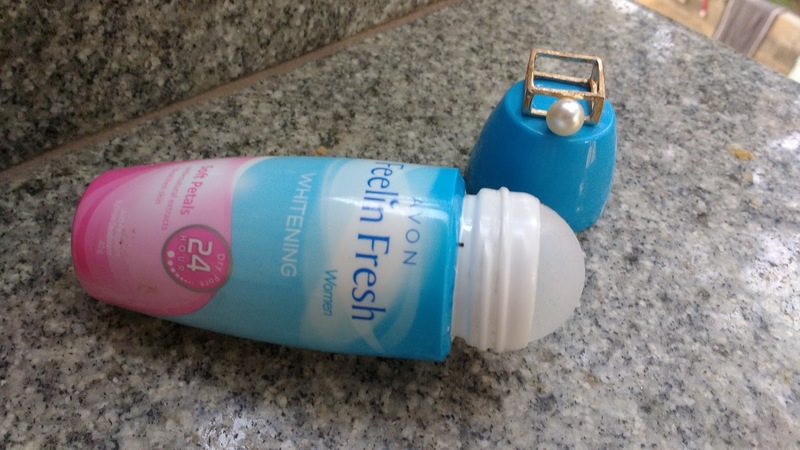 The Avon Feelin Fresh Whitening Anti-Perspirant Roll-On Deodorant comes in a cute curvy bottle with a screw in cap. The packaging is sturdy and very travel friendly. I fall prey for pretty packaging and that's what made me pick this product up in the first place. It has some real amazing selection of flavours and I bought 3-4 different flavours to try out. The 'soft petals' flavour is the best out of the lot in terms of fragrance - I really loved its floral smell! The product worked really well for me and I was actually surprised by the way it kept every drop of sweat at bay. I used it everytime before heading for my work out and every time I returned home my clothes would be sweat free! 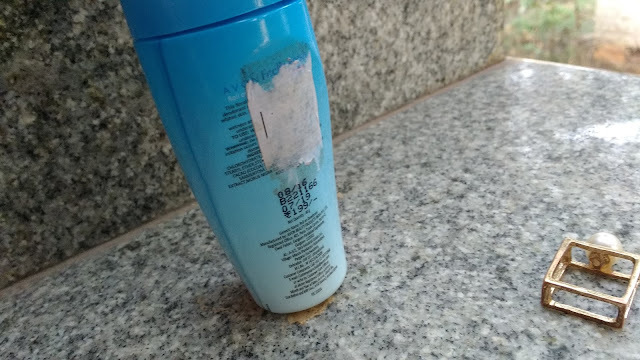 However, I did notice that when I used it regularly and before my workout sessions somehow this product mixed with the excess sweat and started causing some irritation. O_o That's when I realized that I was using it in the wrong way all along. I stopped using it before my work out sessions and instead made it a habit to have a quick shower after I returned home. Now I have reserved this product for heading out to occasions which require me to wear heavy clothes like parties/functions etc. This way my skin does not get irritated and I can actually bask in the glory of non-perspirant underarms when it really matters. Coming to the 'whitening claim of this product, I feel the claim is not true. I didn't really feel any difference and honestly speaking, I did not even expect for this claim to work - so yes, that's okay with me! 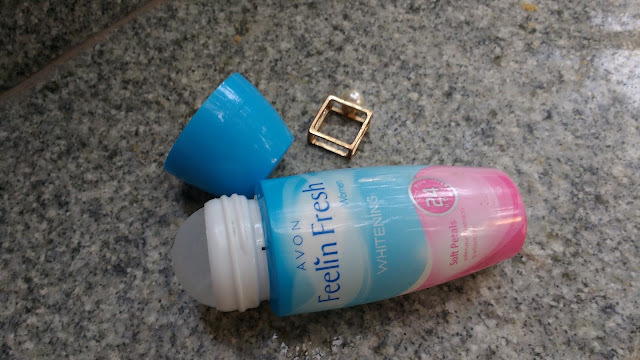 Overall, the Avon Feelin Fresh Whitening Anti-Perspirant Roll-On Deodorant in Soft petals is wonderful product if you are looking for something which can actually manage your perspiration and under arm odour problem 100%. This Roll-on does its job well by keeping your underarms sweat free for a whole day and it also makes sure you smell nice. It's perfect for a date night or that off shoulder Little black dress you always wanted to wear for your friend's party! The whitening claim is not true though but yet, I really liked the product for its smell, packaging and pay off. It's a saviour for days when you want to flaunt your heavy Lehenga or voluminous gown. I would totally recommend it!